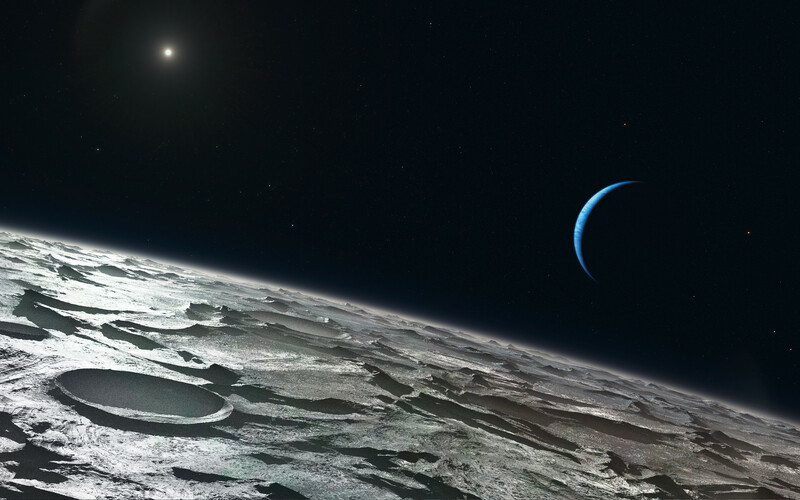 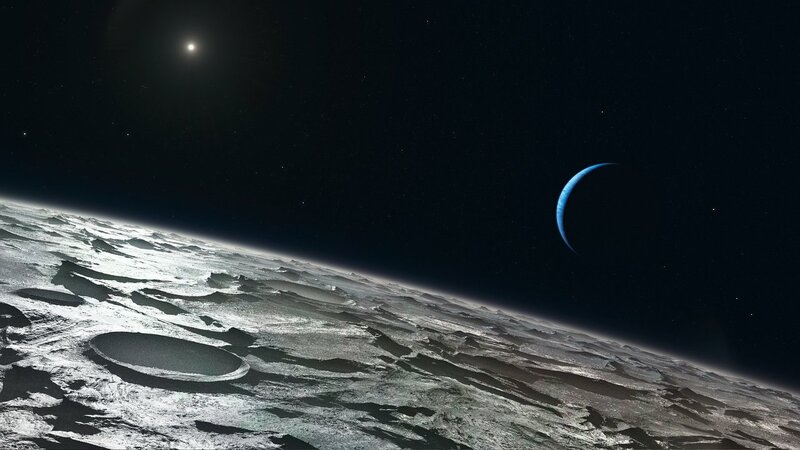 Artist’s impression of how Triton, Neptune’s largest moon, might look from high above its surface. 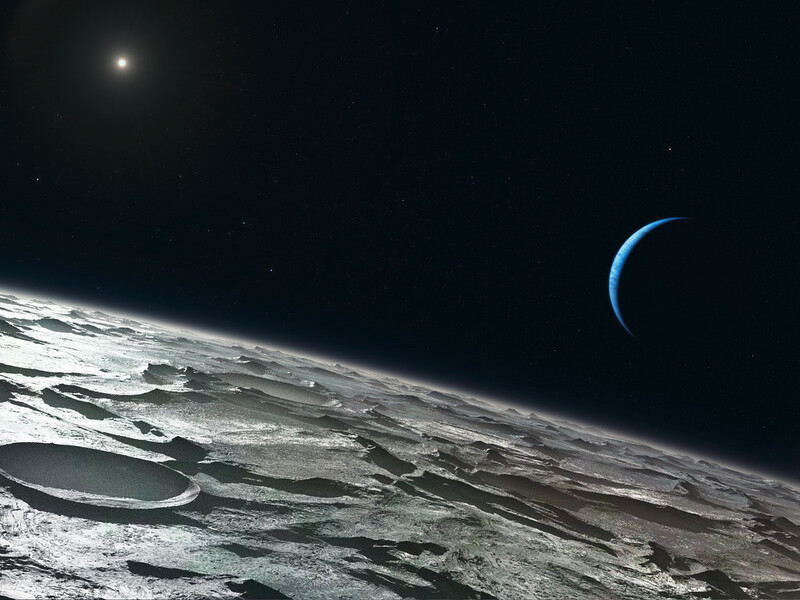 The distant Sun appears at the upper-left and the blue crescent of Neptune right of centre. Using the CRIRES instrument on ESO’s Very Large Telescope, a team of astronomers has been able to see that the summer is in full swing in Triton’s southern hemisphere.